← The Tallest Stucture in the World – or was it? Prior to The Public Libraries Act of 1850 libraries were only available to subscribers, often in stationery and book shops. The Public Libraries Act was eventually adopted by Lincoln Corporation on 21st January 1892. The Corporation formed a Library Authority for 3 years from 9 May 1894. To help with the costs of setting up the library Sir Charles Seely, MP gave £1,200., The Corporation, £200 and William Crosfield, MP, £100. The City Assembly rooms, above the Buttermarket as St Peter at Arches was converted to the library at a cost of £1,272 17s. under the supervision of the City Surveyor, Mr R A MacBrair. Lincoln’s Public Library opened on 9th May 1895 with 7,000 books and news and reading rooms with about 100 newspapers and periodicals. By this time the Mechanics’ Institute had moved from Greyfriars to Guild Court, Danesgate Terrace where they provided about 20,000 books but many of these were only available to subscribers. Lincoln Public Librasry. © Copyright Dave Hitchborne and licensed for reuse under this Creative Commons Licence. The new Library, on Free School Lane, was opened on 24th February 1914, 100 years ago today! By the 1990s the library had again outgrown its location and it was decided to rebuild the library, retaining the Bloomfield designed front part of the building. Melvyn Bragg officially opened the new library on 30th October 1996. 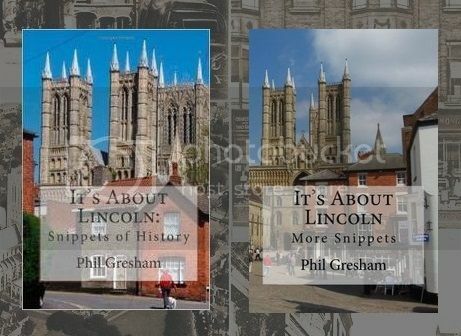 The library continues to serve the people of Lincoln and district, as a source of information for the researcher and entertainment for the reader of novels. Whereas, years ago you would see older people in the Reading Rooms with newspapers and magazines now you will see younger people on computers updating their Facebook status. Gallery | This entry was posted in Grey Friars, Usher Gallery, Victorian and tagged andrew carnegie, England, free school lane, library, Lincoln, public library, reginald bloomfield. Bookmark the permalink.